Have you been dreaming of a new look for your kitchen? Maybe you’re bored by the look of your plain cabinet doors, or maybe you want to brighten up the kitchen with a lighter color of wood or paint. You don’t have to invest in all new cabinets to get the look you want! 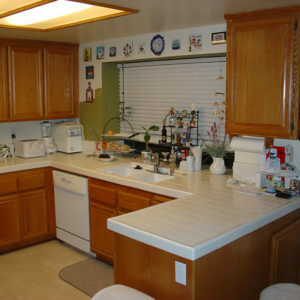 You just need to call Cabinet Magic for cabinet refacing in Pasadena CA. What Is Cabinet Refacing in Pasadena CA? Cabinet refacing in Pasadena CA is a cabinet remodeling service that allows you to replace only what needs replacing for maximum visual impact: your cabinet doors, drawer fronts, and crown moldings. By covering exposed exterior cabinet surfaces with a matching material, we leave your kitchen with a new, cohesive look. Cabinet Magic is a respected manufacturer of custom cabinets, and we put the same craftsmanship into our new doors and drawer fronts. We will make them to your exact specifications. We can make any style of cabinet door or drawer front in your choice of woods. We also have a complete range of paint and stain options. While you’re getting cabinet refacing in Pasadena CA, you may also want to consider adding additional features to your cabinetry such as soft close hinges and pull-out shelves. Are you ready to make the kitchen of your dreams a reality with cabinet refacing in Pasadena CA? Cabinet Magic is here to help. Get ready to join our long list of satisfied customers who have experienced our superior service and craftsmanship firsthand. It all starts with a free in home estimate.Call 800-828-4380 now to request a visit from one of our experienced and knowledgeable team members.